The 2nd photo is made with a macro lens. 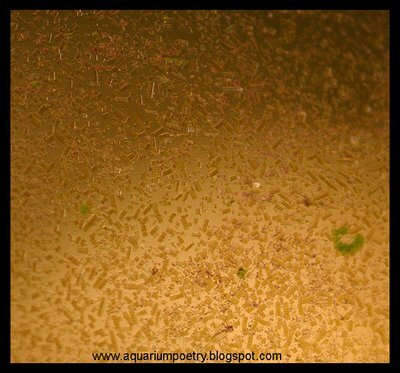 Brown algae diatoms have rectangular shape. This photo represents one small brown patch form the 1st photo. 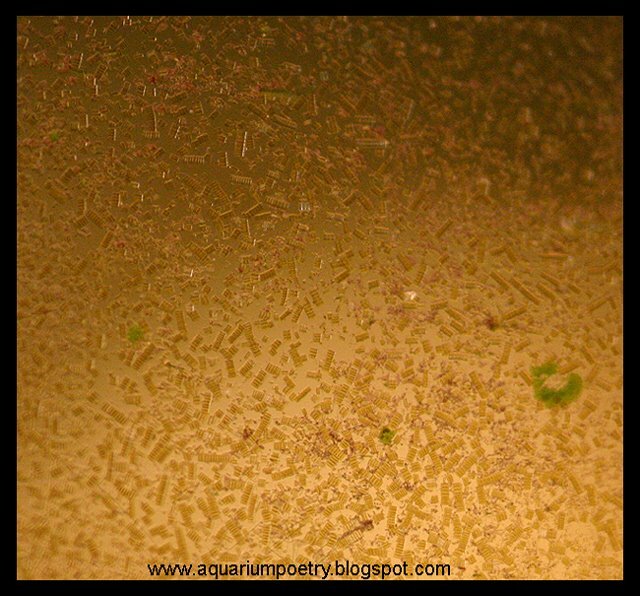 Brown Algae (diatoms) are more likely to appear in low-light aquarium and new set-ups, with excess silicate acids (SiO2). Its been known that strong lights make this algae go away, but they might still be seen on lower, shadowed, plant leaves. 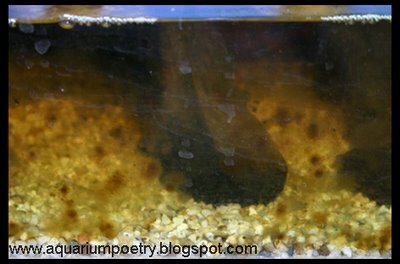 It can also be found on aquarium glass, gravel and decoration. It can be easily removed manually, since it has a soft/slimy structure. Otos (this catfish relishes this type of algae) and Snails can easily keep this algae in low numbers.